Happy Friday, friends! It was a rainy and gloomy week here in Charlotte which made for some long Summer days indoors. Landry had ballet camp (which she loved!) but otherwise we played lots of games and watched lots of movies. I’m so so ready to see the sunshine! I totally slacked on the blog this week…I went into the week with big plans, but of course those didn’t really pan out. 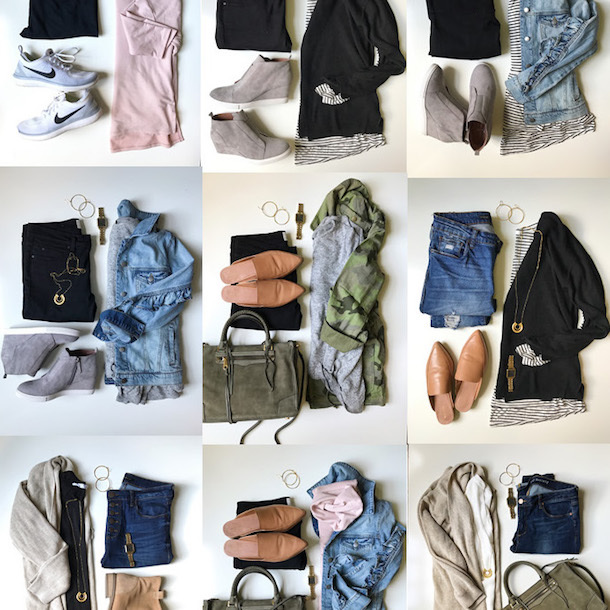 Here’s what did happen on the blog this week as well as what happened on Instagram, lots of link love and sales you can’t miss! 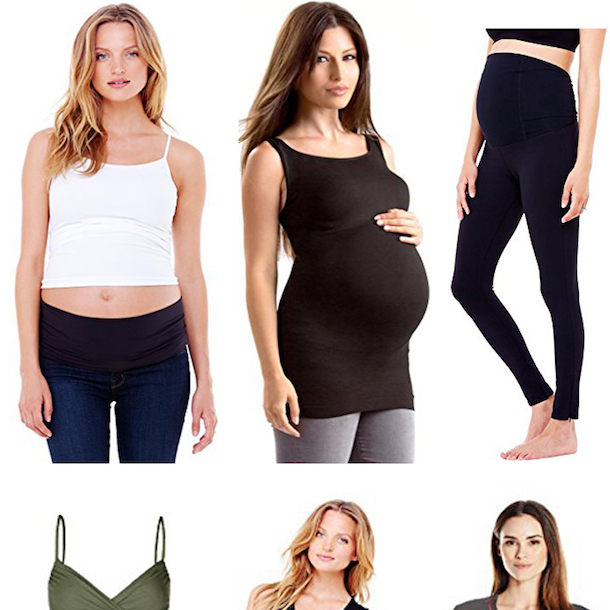 Style Board Series: Sleep + Loungewear | Y’all I have to be honest…I didn’t see this one coming. 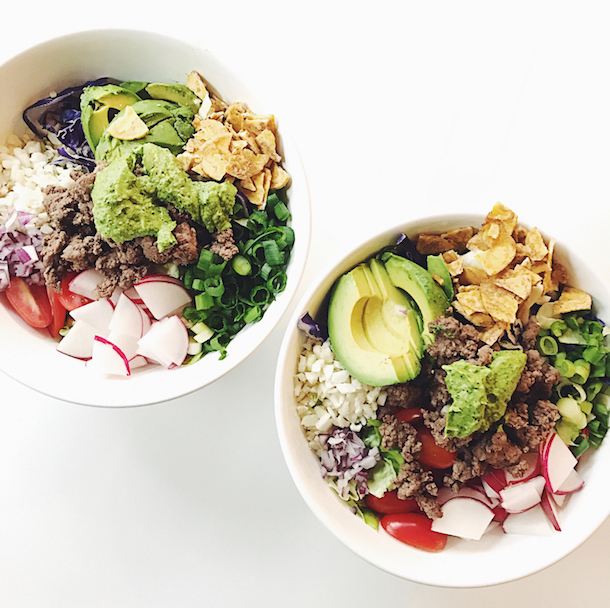 You guys LOVED this post both here on the blog and on Instagram. 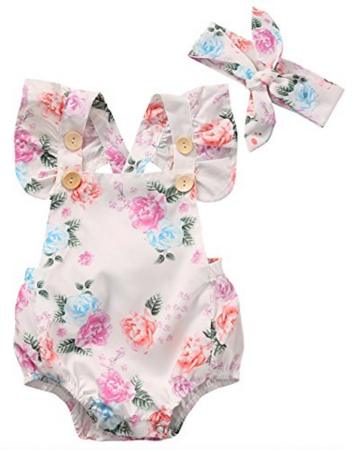 The top items were these floral jammies, this darling eyelet set, and these jogger pants. Here are both boards again and you can shop directly from the board OR see the full post HERE. 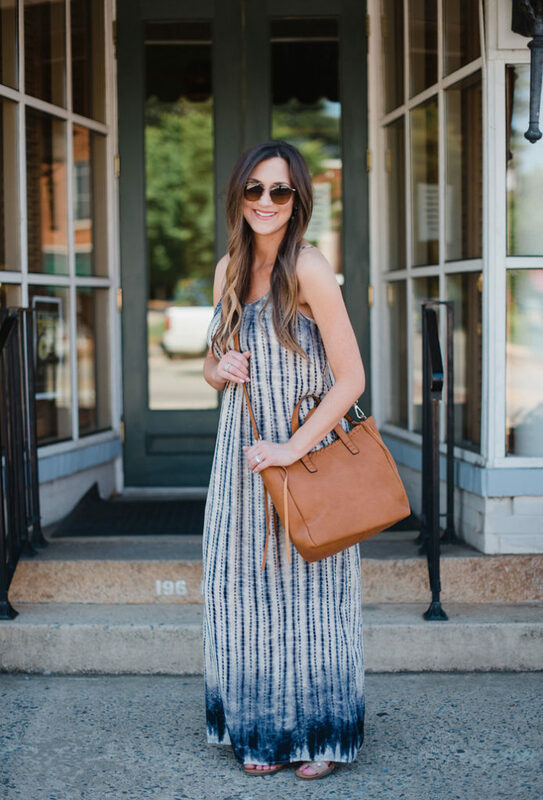 I also shared this breezy maxi dress that’s under $50, along with quite a few other maxi dresses that are under $50! See the full post HERE. This t-shirt is so soft that it feels like pajamas and it’s super easy to throw on and go. What I love is the elevated details like the ruffle sleeves and knot front make it look pulled together. 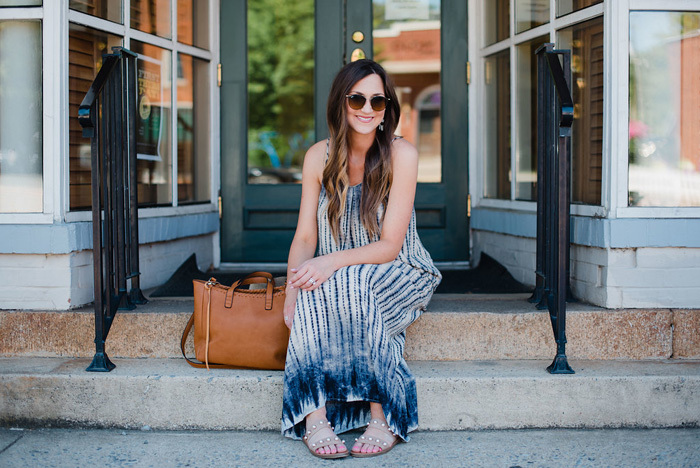 It’s under $50 and comes in a ton of colors…definitely one to grab! You can’t really see the earrings in the post above….but how cute are they?! 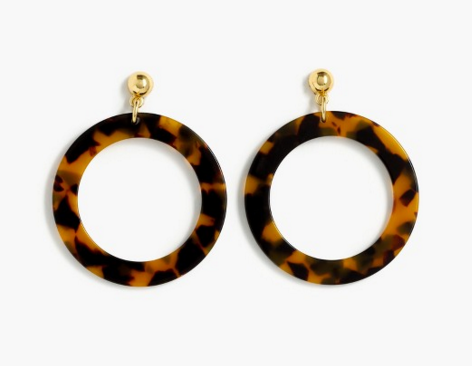 I always love a good tortoise shell and was shocked when I found these for under $20. They are also really lightweight, so don’t let the size fool you. Shop them HERE. 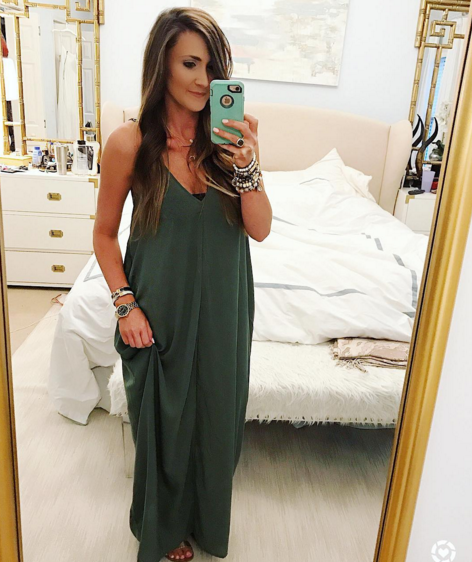 Well you guys certainly shared my love for this maxi dress!!! I’ve gotten countless comments from people who have ordered it saying how much they loved it…which makes me so so happy! I posted a video of me going in to get Lawson in the morning and lots of people asked about her sleep schedule and what helps her to sleep at night. This is why I love the Halo…because it grows with baby! I found this contouring stick at Target and oh-mah-gah I LOVE IT! It makes contouring areas like the nose SO much easier. 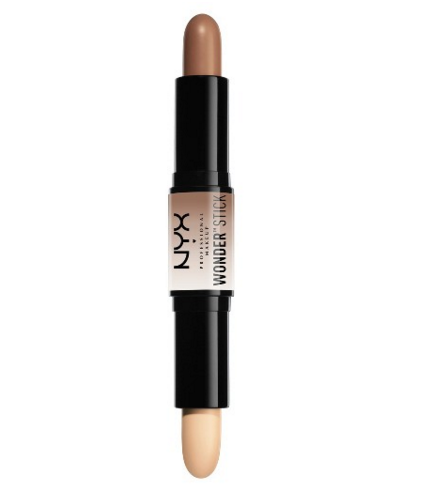 Even if you’ve never contoured before this stick makes it pretty fool proof! I also posted all of my self-tanning secrets over on Instagram! 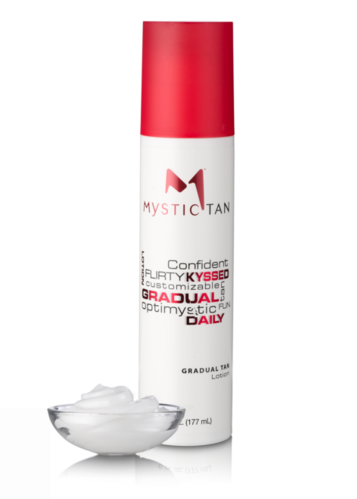 I love Mystic Tan products and if you are looking for a new tanner to try, this gradual tan lotion (applied with their applicator mitt) is such a great option! See below for a discount code! 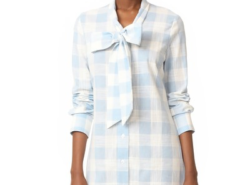 I ordered this dress from Shopbop this week and I am anxiously awaiting it’s arrival (read: stalking the UPS man)! 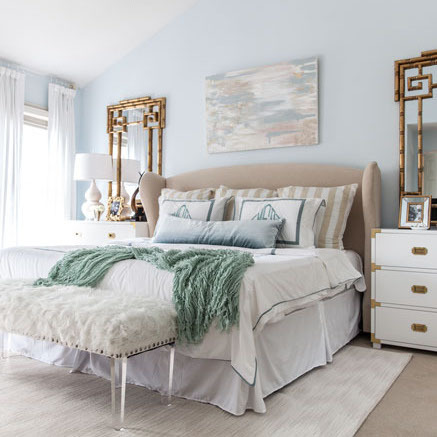 I adore the style, bright colors and I think that it’s a great price for the amazing details! 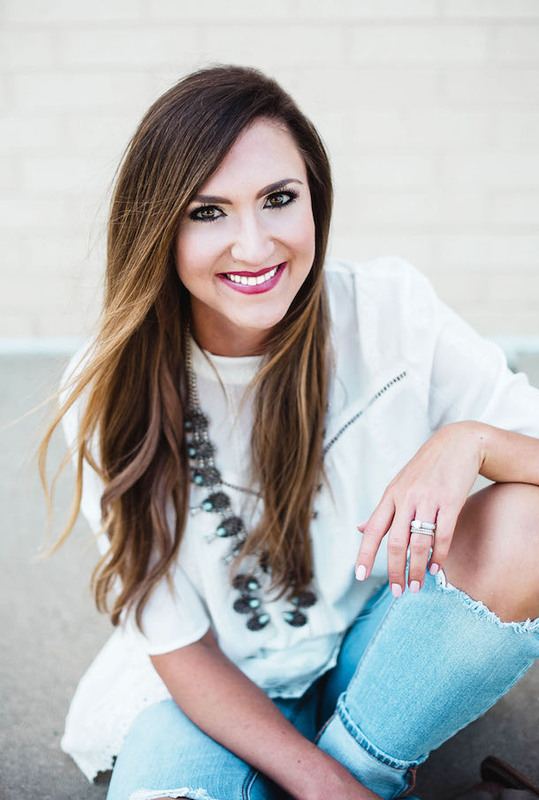 The brand is STYLEKEEPERS and you can see the amazing, affordable assortment HERE. 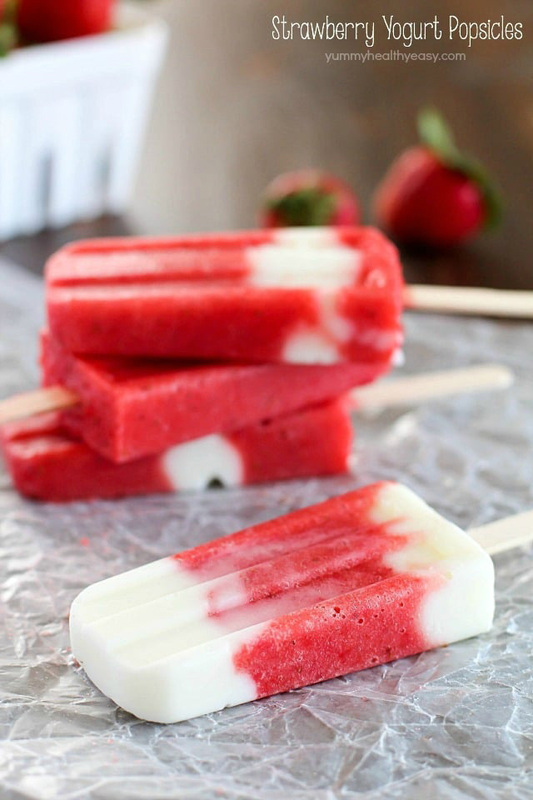 Landry is all about a good popsicle and I love that these are filling and yummy! Going to try and make them with her this weekend and might add some fresh sliced strawberries too! See the recipe HERE. Becca Swim just came out with a new crochet suit and I think that this one might be my favorite one of all. Those lines are going in all of the right places to draw the eye in and make it a flattering fit. If you are still on the hunt for a suit…this might be a good option! Shop it HERE. 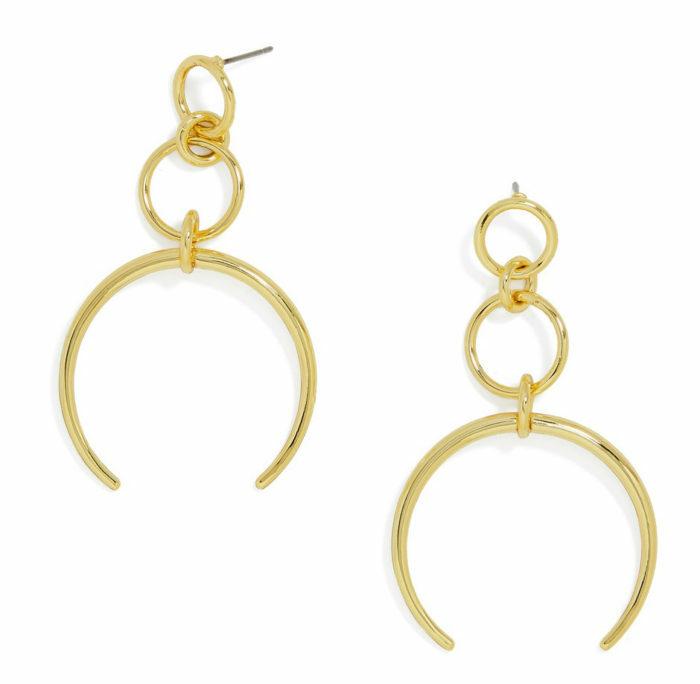 I ordered these gold earrings last night because I wear these hoops so often that I could use an alternate pair. 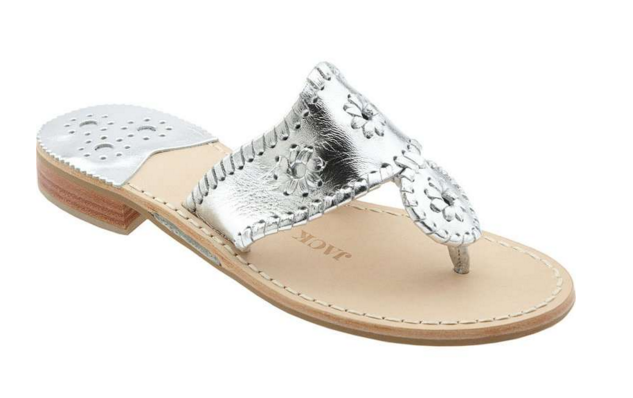 These metallic Jack Rogers sandals are price matched for a limited time making them under $75! 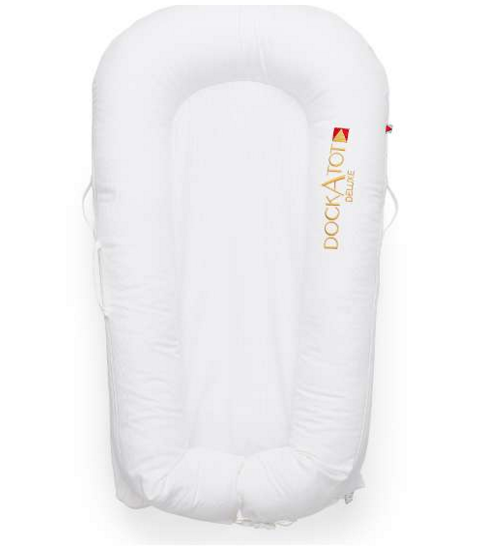 Scoop them up before they are back to full price! Y’all this frilly dress is so so dreamy! Wear it to your next Summer wedding for a gorgeous and breezy look. 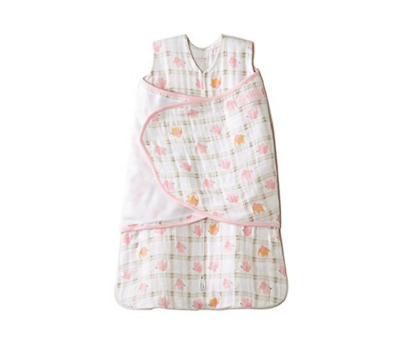 It’s a brand new arrival and is 40% off (making it $53.00!) for a limited time! Shop it HERE. 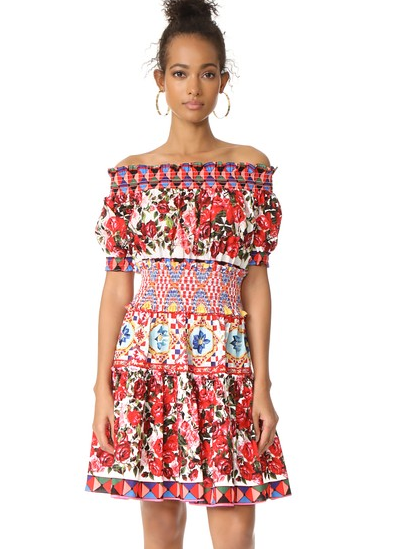 Shopbop has amazing Spring and Summer pieces on sale up to 70% off HERE.